Did you get an e-mail from someone claiming to be the Bethesda Store? Bad news, my friend: you've been pranked. The above image is fake. Like last year's massive "Fallout 4 ARG," this is yet another hoax designed to get all of our hopes up only to punch us in the face. 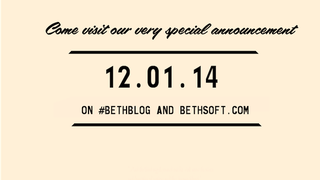 A number of Kotaku readers (and Redditors, and other Internet folk) have reported receiving that "very special announcement" from the e-mail "store@bethsoft.com," but Bethesda was quick to shoot it down on Twitter yesterday morning. Yes, there is a new Fallout game in development, and it's set in Boston, but this ain't it. Let the wait continue.